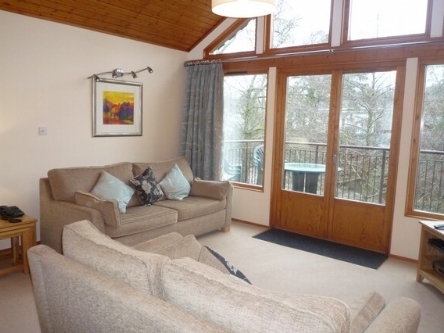 13 Keswick Bridge is a lodge a short walk from Keswick town centre in the Lake District. Sleeping four in two ground floor bedrooms. One double with en-suite bathroom and one twin bedroom and bathroom with shower, hand basin and WC. First floor open plan living area, kitchen, dining area and sitting area with pull-down double bed and balcony. Shared utility. Heated drying/storage cupboard. 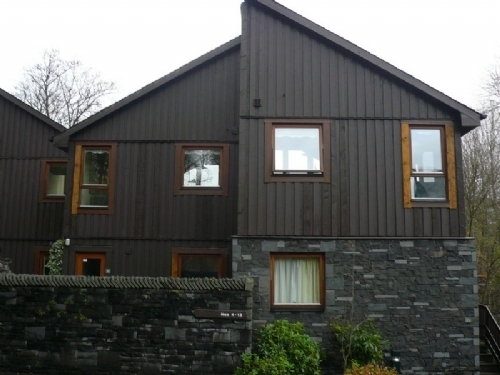 Off road parking and a lawned garden.13 Keswick Bridge is in a fabulous part of the Lake District.